"A fantastic asset for the sailing and local community"
Located on Auckland’s North Shore, the Torbay Sailing Club sits harmoniously within its surrounds of trees, a reserve and seaside location. Doubling the existing footprint, the two-storey structure provides flexible and modern facilities to the sailing club and wider community. S&T’s design pivoted around the need for boat storage. This utilitarian function is cleverly concealed by vertical timber batten screening which extends to the first floor verandah balustrade. The large triangulated verandah juts out providing a visual break and enhances the building’s connection to the harbour. 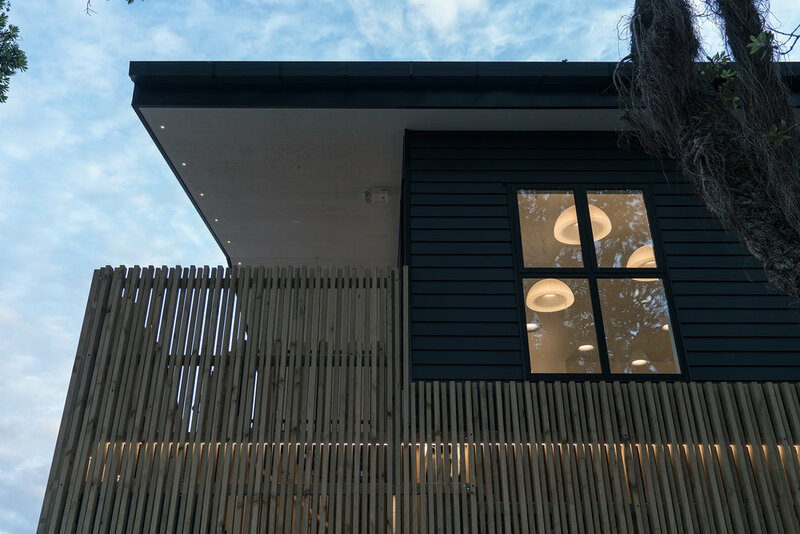 The gabled roof allows natural light while referencing the original building and traditional boat sheds.